Staying at Topaz Hotel Malta is synonymous with well-being, comfort and relaxation. Located in Bugibba, the hotel is just ten minutes from the beach. The establishment offers 326 guestrooms spread over five floors and three buildings that are connected underground. The air-conditioned guestrooms offer spectacular views of the sun, sand and sea. A few of them also feature a balcony overlooking the surroundings or the pool, which is surrounded by hammocks and sun loungers. There’s enough space around the pool to allow for children to have some fun. The hotel has several community rooms which can host celebrations and events. 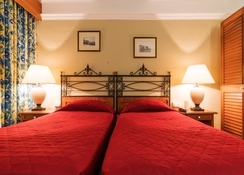 The hotel also provides car rental, medical services, airport transfer, massages, welcome service, luggage storage, shops, beauty salon and optional cots. 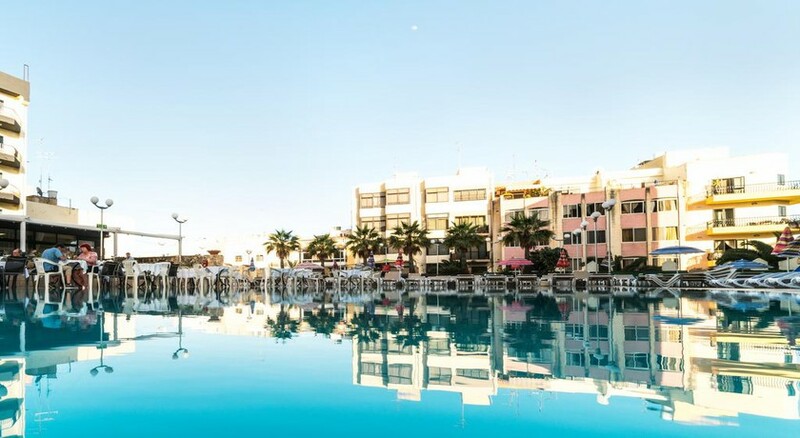 Topaz Hotel Malta is an ideal accommodation located 10 minutes from the beach in one of Malta's tourist coastal towns: Bugibba. The Malta International Airport about 18km from the property, while the Mosta Cathedral is 5.3km. Popeye Village and the Museum of Natural History are 10km from the hotel in opposite directions. 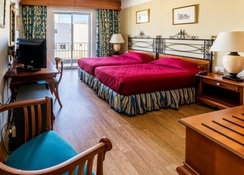 The guestrooms at the Topaz Hotel Malta are spacious and comfortable. They include a coquettish and contemporary décor, which reinvents the Mediterranean style with notes of color, wooden floors, charming ornaments and printed textiles. Some enjoy a balcony and offer excellent views of the pool. All rooms feature air conditioning, bathroom and television. Topaz Hotel Malta has the Emerald restaurant, where you can have breakfast, lunch and dinner exquisitely. 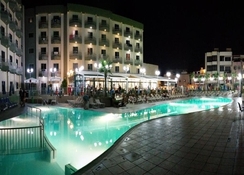 The establishment also features a pizzeria and a bar, as well as various sports areas and lively night shows. Staying at the Topaz Hotel Malta guarantees relaxation, well-being and service. 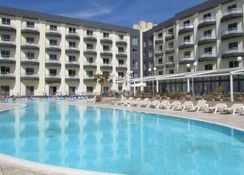 The hotel has a heated pool and an outdoor pool, a solarium with furniture, as well as a fun children's area. The complex has a hairdresser, shops, vending machines, shoeshine, meeting rooms and reception always open, as well as Wi-Fi access in all its spaces. Good Family Hotel, Would come & stay again!